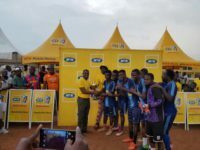 Ghana’s leading telecommunications giant -MTN has presented a cheque of GH¢100,000.00 and a drinks hamper in support of the 20th anniversary of Otumfuo Osei Tutu II, the king of Ashantis. 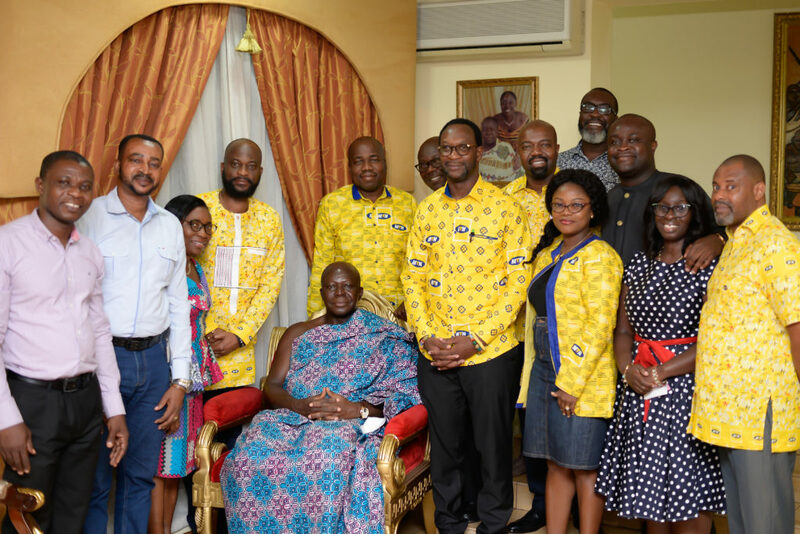 The presentation was made during a courtesy call on the king at the Manhyia Palace in Kumasi to congratulate him and also wish him well for the years ahead. 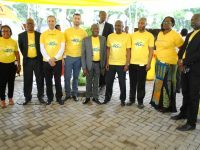 The delegation was led by Selorm Adadevoh, the Chief Executive Officer (CEO) of MTN Ghana, together with some MTN Executives and staff. Mr. Adadevoh said “You are an exemplary, visionary leader, and supporting this anniversary is worth it following your immense contribution towards peace and development in Ghana. 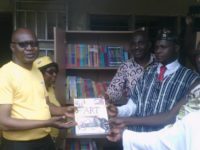 You inspire confidence in us and MTN is proud to support Asanteman. 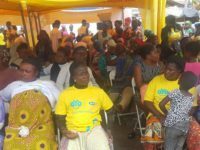 We consider ourselves as a development partner of Asanteman and Ashanti region is a crucial market as far as MTN’s business is concerned”. 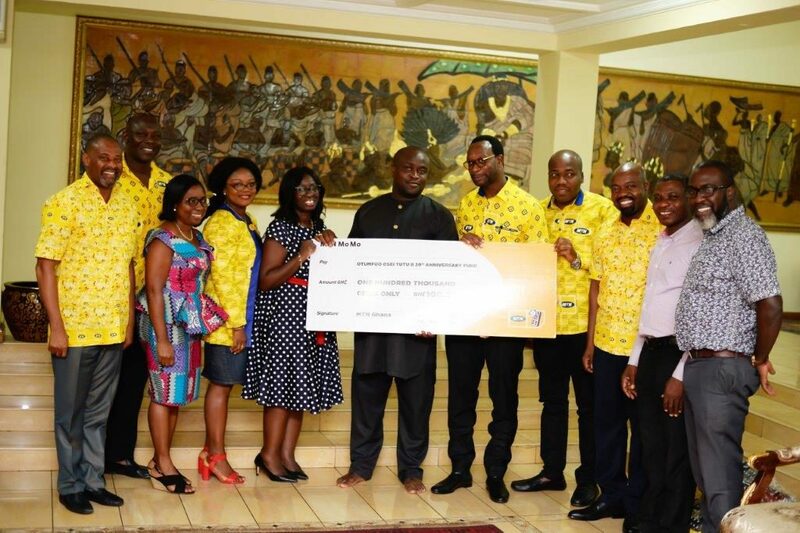 Upon receiving the cash donation, Otumfuo Osei Tutu II commended MTN for its continued support to the Manhyia Palace over the years and expressed his profound gratitude for the gesture. 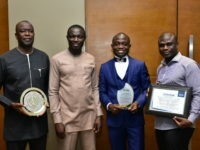 He also commended MTN for its consistency in its service delivery and further urged MTN to continue investing in CSI to transform lives. 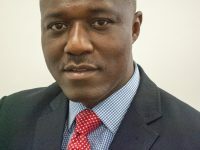 He charged MTN to pump more investment into developing a network that guarantees quality service to delight its subscribers.